The Canon EOS-1D X has been out for about 3 months now and many photographers have put the camera through exciting tests to see how well it performs. 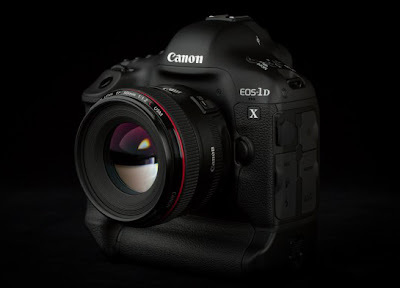 You can read my review of the EOS-1D X here. As you know, Canon also introduced the 4K EOS-1D C, the most advanced DSLR camera ever for shooting movies as well as photographs. The camera will be available in December, 2012 with a list price of $15,000. However, Michael Hession of Gizmodo has done something rather unique to take advantage of the burst rate of the EOS-1D X. He used the lighting fast speed of the camera to piece together a short video at 14 fps. The image quality and dynamic range of the video is not bad, approaching the quality of still photographs. Of course, no one will use the EOS-1D X as a video camera but as a creative experiment, this exercise is rather good and interesting.